A loaned critter/trail/game camera captures coyote, oppossum, insects and a deer near Peculiar, Mo. 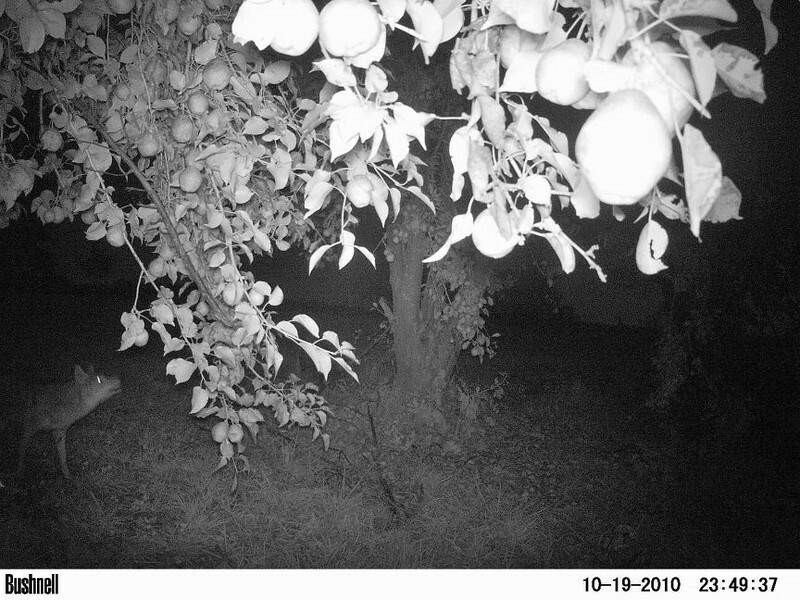 A coyote walks under a pear tree. Peculiar, Mo.